George E. Ohr (1857-1918) called himself the “Mad Potter of Biloxi”, and he was unequaled in self-promotion. However, his bombastic proclamations and confidence didn’t necessarily pay off economically during his lifetime. Jan Greenberg and Sandra Jordan look at the life and work of this artistic genius in The Mad Potter: George E. Ohr, Eccentric Genius (Roaring Brook Press, 2013). At one point in his life, when Ohr was opposing his siblings in a court case over their parents’ property, the attorneys suggested that George was crazy. Their evidence was based on the fact that he called himself the Mad Potter. The jury found that the potter was not insane. 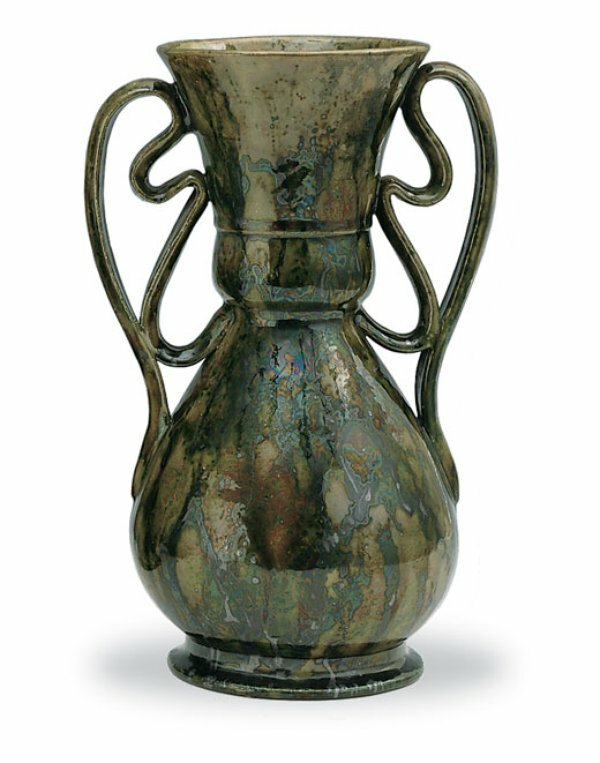 How fortunate we are that Jim Carpenter, an antiques dealer, happened upon Ohr’s pottery in 1968. He was on a buying expedition when he stopped at “Ojo’s Junk Yard and Machine Shop” in Biloxi, Mississippi. When he took a look at the boxes of George’s pots that were piled up in the building, he recognized the genius in Ohr’s work. While the critics in the early 1900s viewed his work as strange, the art commentators in the 1970s viewed it as modern. Some of his descendants had used George’s pottery for target practice, but now his pieces command tens of thousands of dollars.